This is currently sold out, but that doesn't mean it is gone for good! Enter your email address below and we'll email you when it is back in stock. Easy one-handed operation for adults. Not recommended for cats as most cats are able to jump over these gates. Includes mounting cups that can be screwed or taped to the wall for added security but are not necessary unless gate is used at top of stairs. When first removed from package there will be a gap at door opening. This is normal for pressure mounted gates and will close once gate is installed properly. 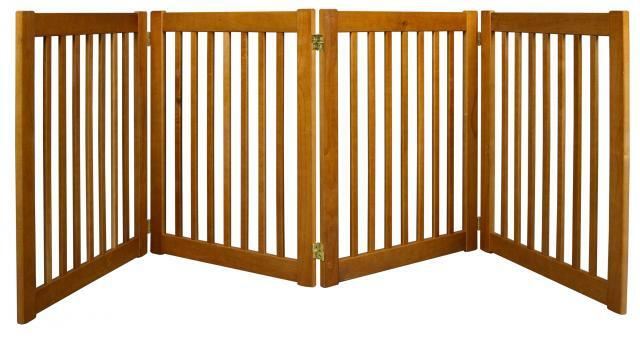 Please see our Banister Shield Protector under Gate Accessories if you wish additional security. 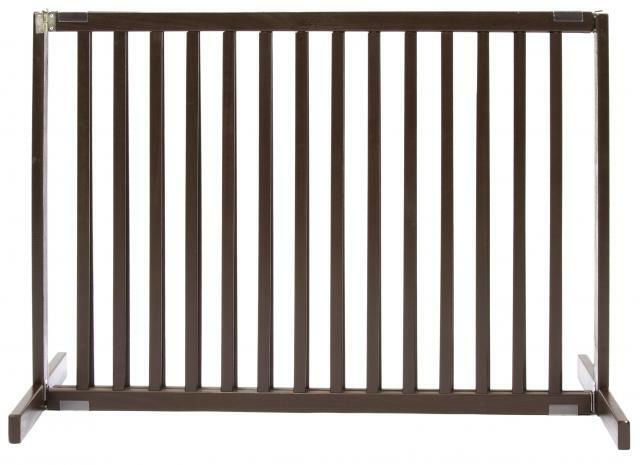 The 30 inch tall free standing large pet gate is part of the Kensington series by Dynamic Accents. The all wood gate is beautifully finished in mahogany. The 18 inch legs provide for a sturdy free standing pet gate. 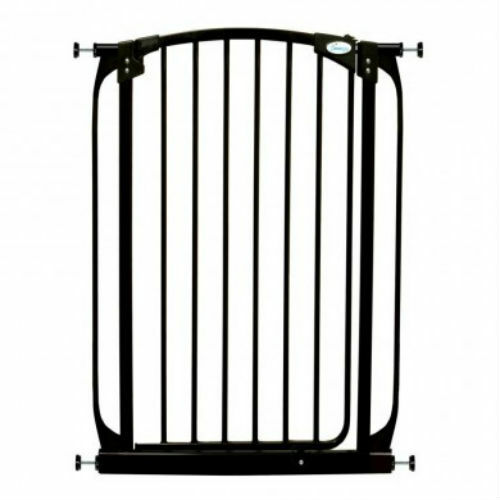 This Pet Gate package includes a black pressure mounted gate with a 21″ and a 24.5″ extension. It is very easy to set up and take down. 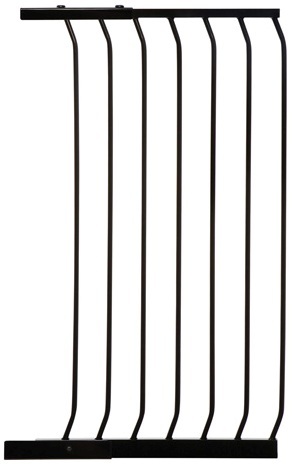 Great for large openings with a width from 75 to 77 inches.